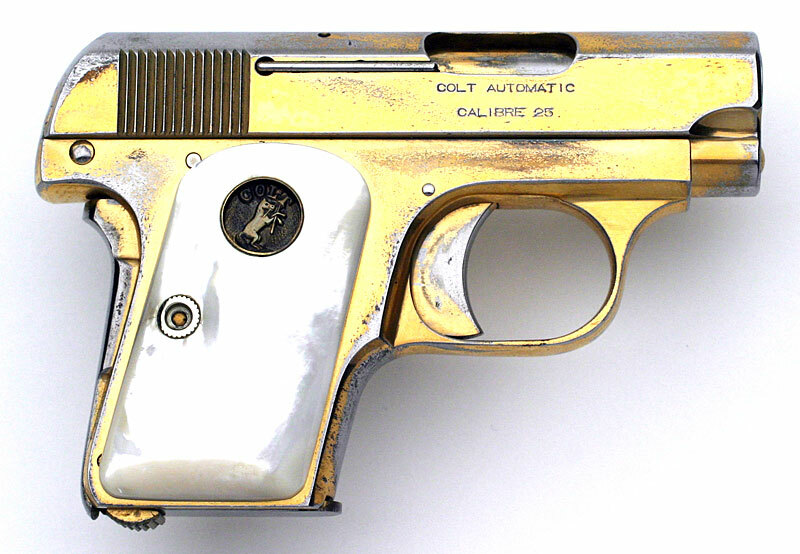 Colt 1908 Vest Pocket .25 ACP serial number 85735 - Pistol has original factory gold plated finish and factory mother of pearl stocks with early recessed Colt medallions. This pistol was manufactured and sent to the shipping room on February 21, 1913, but not shipped until December 30, 1930. 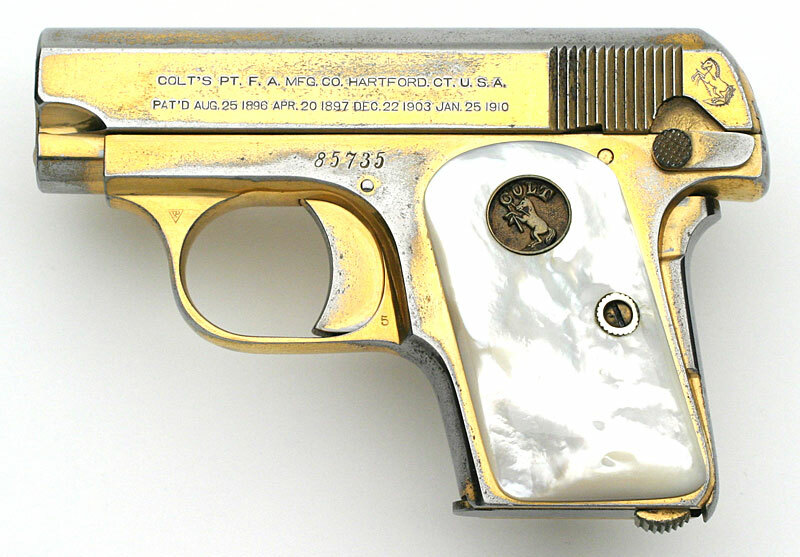 Colt 1908 Vest Pocket .25 ACP serial number 85735 - right side.